2) Open fuel flap lid, and remove fuel filler cap. 3) Disconnect battery ground cable. 5) Remove service hole cover. 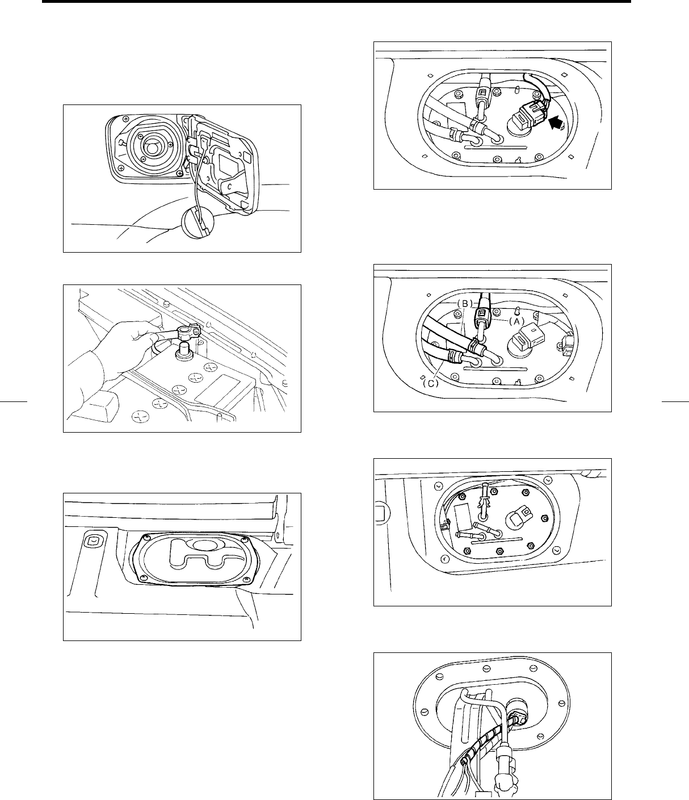 6) Disconnect connector from fuel pump. hose (A), return hose (B) and jet pump hose (C). 10) Take off fuel pump assembly from fuel tank. 11) Disconnect connector from fuel pump bracket.